Graduate Record Exam, known commonly as GRE, is a computer adaptive test. 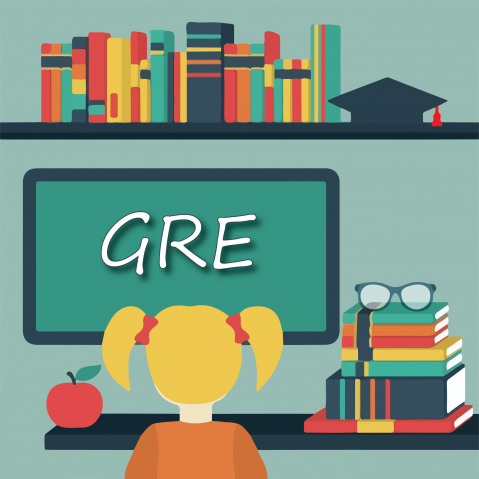 GRE has three major components: Analytical Writing, Verbal Reasoning and Quantitative Reasoning. First section consists of two essays for which candidate gets 30 minute for each essay, second section has two sets of 20 questions with 30 minutes time frame each and third section again has two sets of 20 questions with 35 minutes to answer each. Expand your vocab: GRE’s analytical writing section requires you to have strong grasp over English and a decent vocabulary. These are skills which are built over a period of time. Thus, it is important to get hold of English texts, in whatever form one can, and read it. This will both help you understand sentence formation and will introduce you to new words. Practice your way to perfection: The age old saying of ‘Practice makes a man perfect’ is as relevant as it always is, especially when it comes to GRE preparation. While you may have polished your English language and quantitative reasoning skills, all this holds no value if you aren’t familiar with the format of the test. And in order to gain this familiarity, take as many practice tests as you can before the D- day. Revisit your high school curriculum: When preparing for quantitative reasoning, one has to revisit all the concepts and formulae that he/she learnt while in high school. Most of the questions in this section come from that part of mathematics academic syllabus which is taught in high school. Thus, make sure that you are well acquainted with your high school math. Join a GRE prep course: Preparing for GRE requires a dedicated effort. Considering the value that your GRE score carries in determining your graduate admission, it is worth investing some time and money. Enrolling into a GRE prep course will lend continuity to your preparation and encourage you to push yourself further. Moreover, studying in a group is also beneficial because it allows you to learn from the mistakes of others as well. For a comprehensive preparatory course for GRE, contact SIEC or its affiliate ACCT. SIEC has proven its mettle in test preparations and the success rate of our students vouch for this fact. Expert guidance and continuous evaluation through mock tests enable you to identify your weak areas and work on it. Study material prepared by experts is as exhaustive as it can get. Contact SIEC or ACCT today to know more!